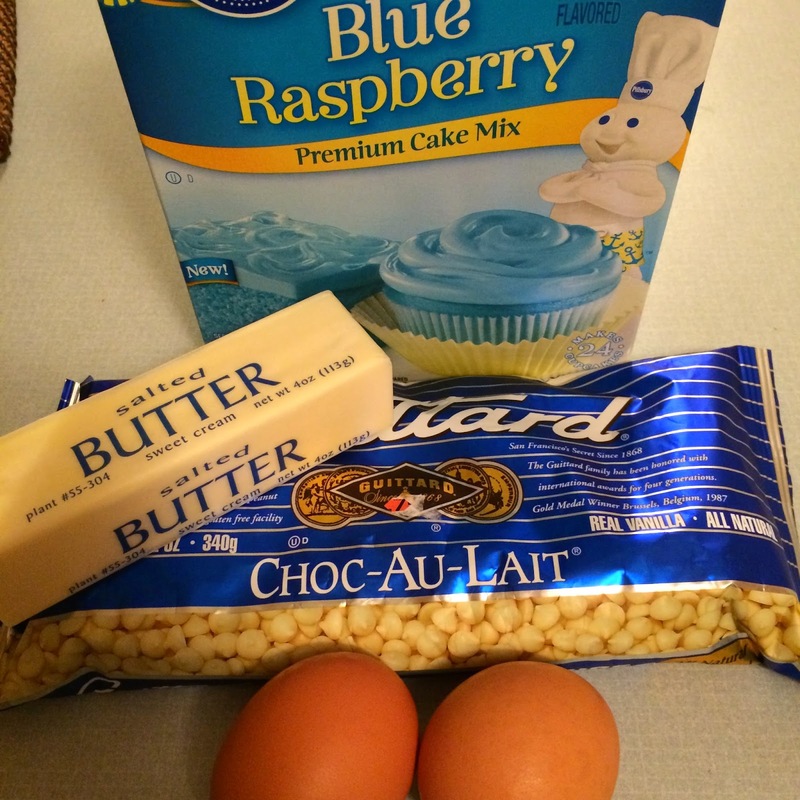 In addition to Whoopie Pies for her birthday, Lacie also requested something blue. Even though she will sometimes say her favorite color is pink, I know that deep down it is really blue *sigh*. She actually used to always say blue was her favorite but now I think she wants to like pink like mommy! So when I asked her what she wanted to be blue, she answered "COOKIES"! 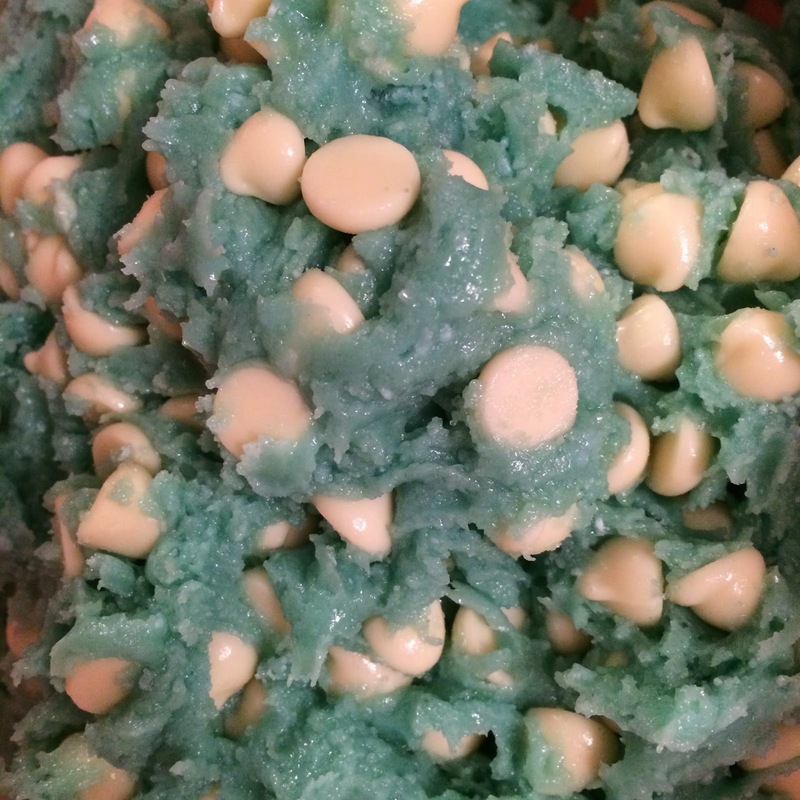 So the birthday girl got her blue cookies, and I made CAKE MIX RECIPE #45! 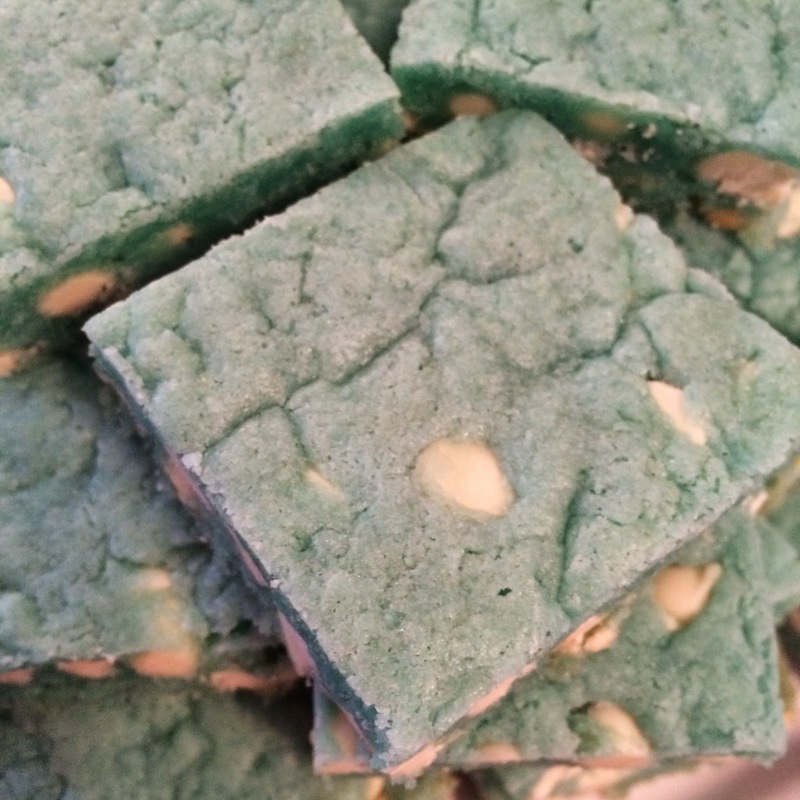 Rather than use blue food coloring in plain vanilla cookie bars, I decided to try a Blue Raspberry Cake Mix, which gave them a true Cotton Candy Flavor! 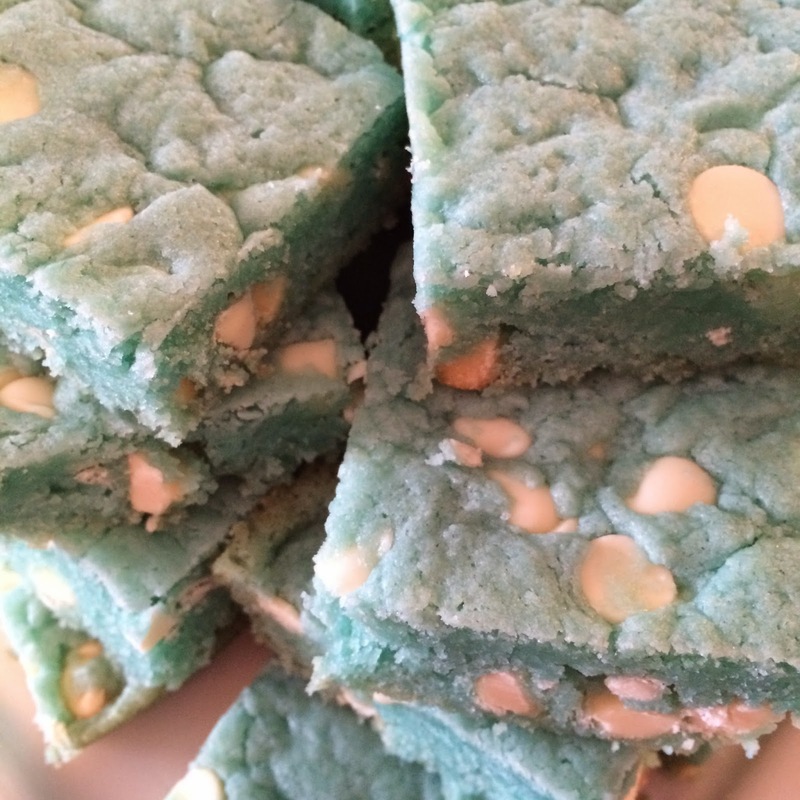 These cookie bars are super simple, super sweet, and will make any child who likes the color blue very happy! Was tired, so I just pressed them in a 13th pan instead of the usual way... yum!! Yes! That's why I love making cookie bars! So much easier than rolling individual cookies...and of course just as yummy!